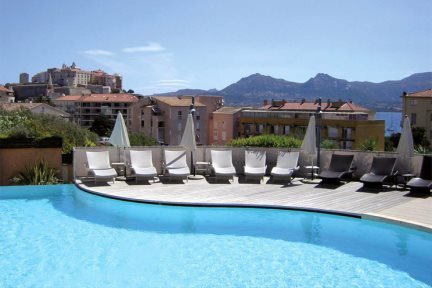 Stay in the heart of town, just a stone's throw from Quai Landry and the beautiful beach of Calvi. A relaxed base from which to explore la Balagne. Located on the hillside just above the town, Hôtel Regina is only a short stroll away from the little streets and harbourside of Calvi, making it perfect for a balanced break of sandy strolls and Corsican culture. 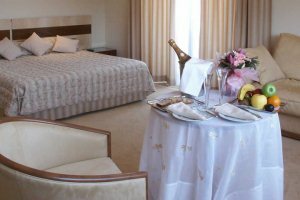 The hotel offers spacious and comfortable accommodation, an inviting pool area with gorgeous vistas across the Citadel and private parking. 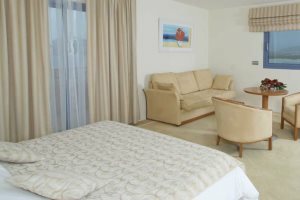 There is a choice of room categories, all varying in size and position within the hotel – so it may be worth upgrading if you’re looking for a larger room for extra comfort or a higher floor to make the most of the views. All rooms are contemporary in style and have air-conditioning as well as a private balcony or terrace. Enjoy a buffet breakfast in the bar/lounge or by the pool area and take in the stunning backdrop of the Citadel, or venture out into Calvi to discover its little shops, eateries and beautiful beach. Hôtel Regina offers a convenient base and great value for money. Due to the hillside position, this hotel is not suitable for guests with walking difficulties. "We take a holiday abroad every year, but we can honestly say that this has been the best, as regards to travel and hotel." Heated swimming pool (free-form 16m x 9m, max depth 1.7m), lounge bar, underground parking, lift, Wi-Fi, beauty centre with hammam and Jacuzzi (payable locally). Pool towels available at reception. En-suite shower room and wc, television, telephone, minibar, air-conditioning, balcony or terrace. The size of these rooms is approx 25m² with a sea view. With a shower over bath with separate WC, there's also outside space and good storage areas. Larger rooms approx 30m² with a garden/pool view. With a shower over bath with separate WC, there's also outside space and good storage areas. Larger rooms approx 30m² with a sea view. With a shower over bath with separate WC, there's also outside space and good storage areas. Larger rooms approx 36m² with a garden/pool view. With a shower over bath with separate WC, there's also outside space and good storage areas. Coffee-making facilities in this room. Larger rooms approx 36m² with a higher sea view. With a shower over bath with separate WC, there's also outside space and good storage areas. Larger rooms approx 46m² with a garden/pool view. With a shower over bath with separate WC, there's also outside space and good storage areas. Larger rooms approx 46m² with a higher sea view. With a shower over bath with separate WC, there's also outside space and good storage areas. Coffee-making facilities in this room. Larger rooms approx 46m² with a higher sea view. With a shower over bath with separate WC, there's also outside space and good storage areas. 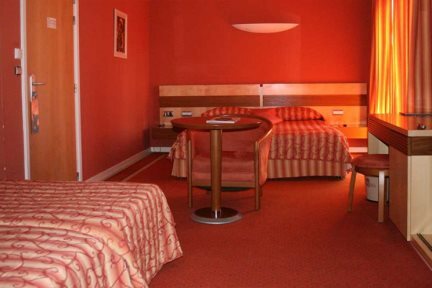 This room also has extra beds for up to 2 children.